This Place of Worship was founded in 1845, but we understand it was closed in 1999, and the premises are now in secular use. 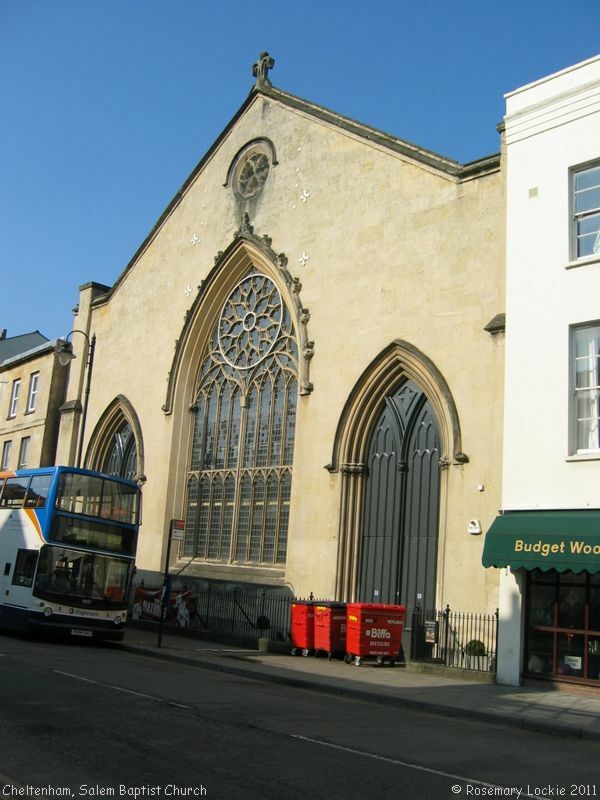 The Salem Baptist Chapels in Cheltenham were founded in 1835-6 by a group of seceders from the Bethel Chapel, described as radical antinomians in the document Cheltenham Borough Archaeological Assessments, compiled as part of the Gloucestershire Extensive Urban Survey (EUS) of 1995-8. Their first meetings were held in the Clarence Gallery on Clarence Street, until - unable to find suitable premises for a new building - the congregation purchased Barrett's Riding School in Regent Street, which was refitted as a galleried chapel. This remained in use until 1845, when a new chapel in Clarence Parade, built between 1843-4, became ready for occupancy. This is the large "Gothic" edifice shown on our photographs, which now enjoys Listed Building status. It cost £3,400 to build, £1,000 of which was donated by Mrs Gardner, and provided seating accomodation for 2000. 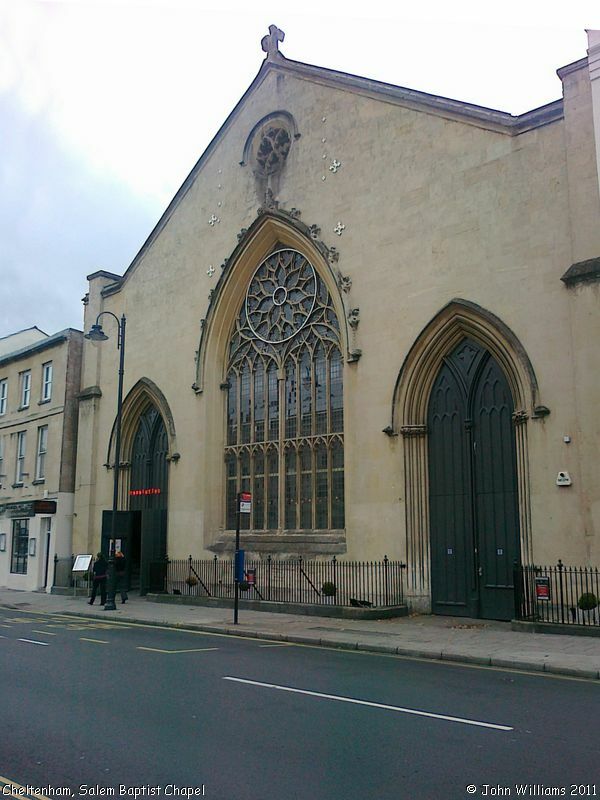 It is known to have been converted by 1999 into a public house known as 'Festival and Firkin', for which see Cheltenham - Current and Former Places of Worship on Stuart Flight's "Glosgen" website. The congregation had vacated the premises some time prior to that, and in 2001, a new Salem Baptist Church was opened in St George's Road. More recently, in 2005, the Clarence Parade premises became a pub called "The Pulpit" - there is a photograph of it as such in the Church Album of The Roughwood Homepage. The sign on the door in 2011 does, however say 'revolution', so it is not known what its present usage is, though its Listed Building status should keep it safe from further development for some years to come. Salem Baptist Chapel, Cheltenham shown on a Google Map. Information last updated on 15 Nov 2018 at 08:29. Please also remember that the former Salem Baptist Chapel is understood to be in secular use, so care should be taken to preserve the privacy of its occupants. This Report was created 2 Apr 2019 - 03:27:21 BST from information held in the Gloucestershire section of the Places of Worship Database. This was last updated on 7 Feb 2019 at 07:45.